FINPACK What’s New Fall 2017? In the FINPACK What’s New videos, we’ll look at the major updates for the Fall 2017 release of FINPACK. The most notable new features updated projection tools and enhanced capital purchase and sales entries. 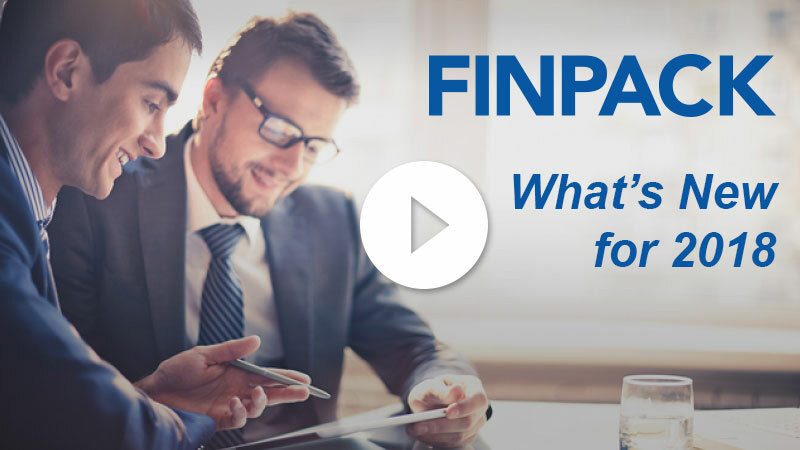 Use these videos to quickly understand the new features, to best utilize the newest release of FINPACK. 3 types of cash flow projections available in one tool: Annual Plan, Monthly Plan, and Monthly Plan with Enterprise Budgets. The Annual Plan and Monthly Plan with Enterprise Budgets are similar to previous versions. The Monthly Plan is new. A user can now enter monthly projection detail, without the need to enter crop or livestock budgets. “Legacy Projections” will be available for 2018. These are the Annual Plan and Monthly Cash Flow projection tools from previous FINPACK versions. These tools will remain for the coming year as users transition to the new projection tools. These Legacy tools will have the same projection functionality you are accustomed to and are located under Legacy Projections in the file navigator dialog. There is a video outlining the details of each projection tool. Watch these to learn more about the FINPACK tool you use. Additional information regarding the purchase and sales of capital assets can now be entered on the balance sheet. The details of annual purchases or sales of machinery, titled vehicles, land, and buildings or improvements can be transferred to the financial analysis tools in FINPACK – Schedule F Cash to Accrual, Earned Net Worth Analysis, or the FINAN Financial Analysis.